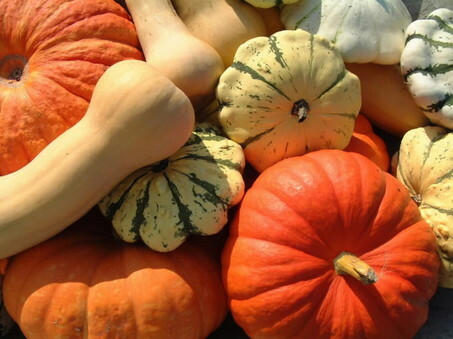 great for sautéing, grilling and turning into bread, but I much prefer the heartier, more filling winter squashes: butternut, acorn, pumpkin and even spaghetti squash. Winter squash was a bit intimidating for me when I first cooked it. I was a bit mystified with the tough hard as rock skin exteriors, odd shapes, seeds, goopy stringy pulp and strange colored flesh. I mean I had heard of pumpkin soups, breads etc. but didn’t that always come out of a can? 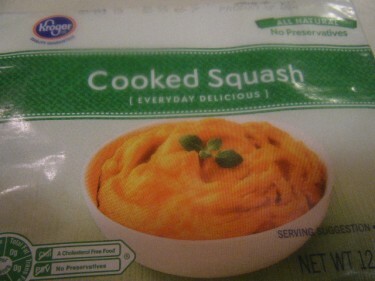 And didn’t you buy butternut squash already as a soup or pureed in the frozen aisle of the grocery? While this is all very true, I also grew up when I turned 26 and discovered squash in it’s original form in the produce section! It was fall, squash was on a mega sale, I was curious and decided to investigate. 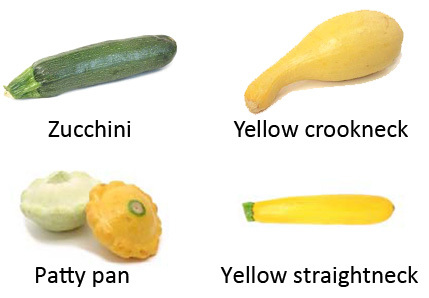 I bought one of each variety and started with the spaghetti squash since they were so popular. 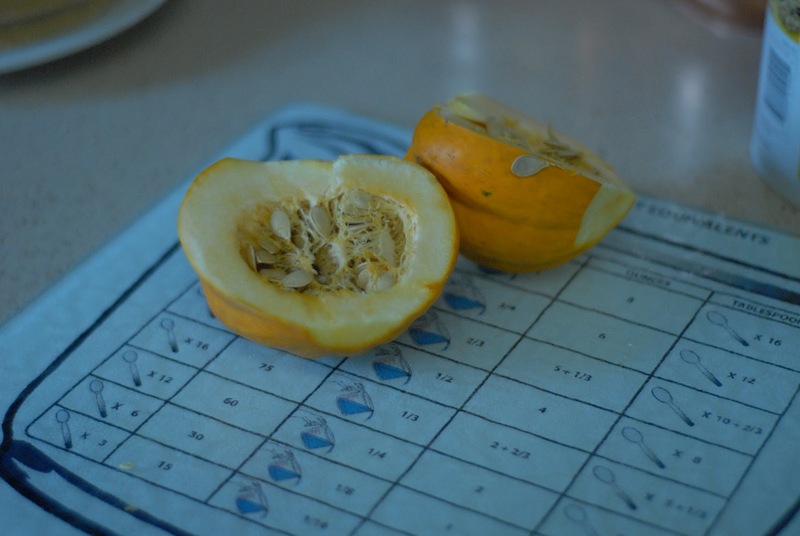 Seemed simple: cut in half, de-seed and bake upside-down in a shallow pan of water. It was decent, healthy and low calorie but not fantastic enough to replace spaghetti, in my opinion. I decided to cook the others the same way and started adding stuff to them and that’s when I discovered how awesome this vegetable really is. It’s so naturally sweet it should be considered dessert! One of the simplest and one of my favorite ways to eat butternut and acorn squash is baked (like a spaghetti squash, but longer) with brown sugar and a generous pat of butter in the bowl of the squash. You just let the heat melt the butter and brown sugar together and dredge bits of the squash flesh through the butter-sugar soup. So delicious. Healthy enough to be a “side” but good enough to be a dessert. I pretty much start off baking all of my squash like a spaghetti squash, but just a bit longer and at a higher temperature. 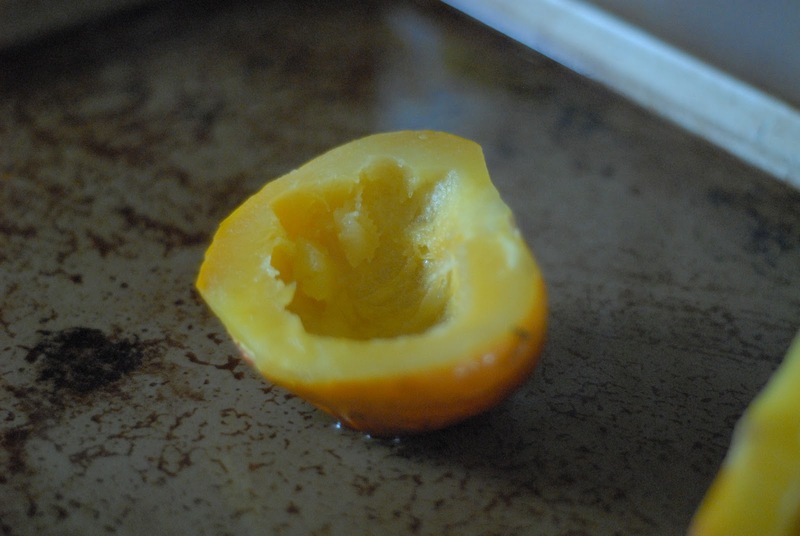 It depends on the size of the squash, but I generally bake them upside-down on a baking sheet in about an inch and a half of water at 425 for about 35-45 minutes. 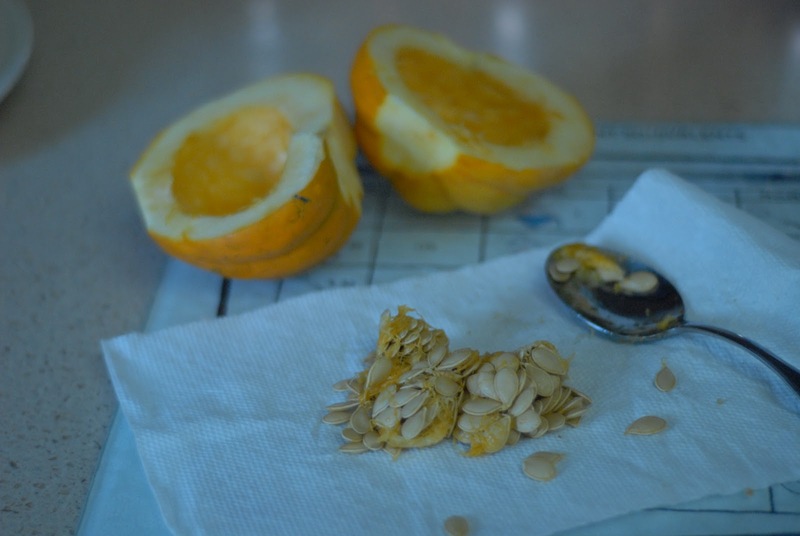 Once that squash is baked I use the flesh as a rich, nutritious and flavorful thickener to everything from pasta to soups to baked goods to oatmeal and various other grains. If you add it to grains when you cook them like oatmeal or amaranth with maple syrup or brown sugar and pumpkin pie spices like cinnamon, nutmeg and clove, it literally tastes like pumpkin pie filling in a bowl. In fact, I often use squash to replace pumpkin in recipes because it is much easier to deal with, has the same texture and you can always disguise it with spices! 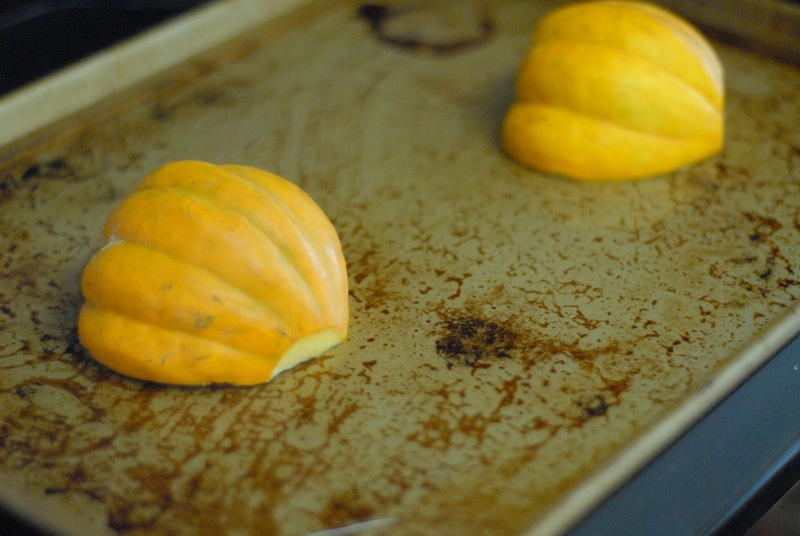 Sometimes I dice the squash into cubes, then bake it with a little butter and brown sugar. It is a bit more laborious, but doesn’t really take up that much more time. sometimes I like to sauté a vegetable medley and stick it in the squash bowl and eat it right out of there with bits of squash! There will definitely be more recipes to follow, but I am just a beginner and still dabbling with this vegetable! Previous Post Why are these so difficult to make? !